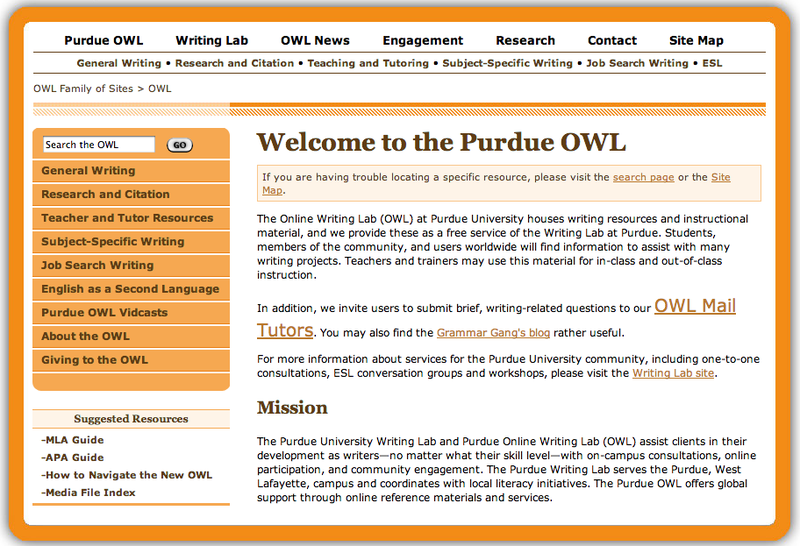 The grandfather of all University guides on grammar is Purdue’s OWL. OWL stands for “Online Writing Lab” and has been around for years. I think I discovered OWL back in 2007 or 2008. A past co-worker who graduated from Purdue told me they had an incredible resource for students and she valued it so much. Since then, I’ve seen it referred to constantly. I’ve used it myself to aggregate exercises for many past classes. It’s a great place to start. The Grammar Handbook from the University of Illinois Urbana-Champaign is a clear, primarily text-based source organized by subject. Since the advent of Purdue’s OWL, I think many other competing universities have been trying to one up the pioneer in the field. UIUC is no different from most of them, but the quality of their website seems to be better than them. The latest guide is in its 8th Edition (published in 2016 for $12 USD). Since MLA won’t provide their rules online, Purdue helps us get the most comprehensive free exposure to their rules here. According to the MLA book catalog description, since first being published in 1985, the MLA Style Manual has been “the standard guide for graduate students, scholars, and professional writers”. MLA style “has been widely adopted by schools, academic departments, and instructors for over half a century”; the MLA’s “guidelines are also used by over 1,100 scholarly and literary journals, newsletters, and magazines and by many university and commercial presses”, and they are “followed throughout North America and in Brazil, China, India, Japan, Taiwan, and other countries around the world”. Interestingly enough, supposedly after this 8th edition, it will be discontinued according to the organization. 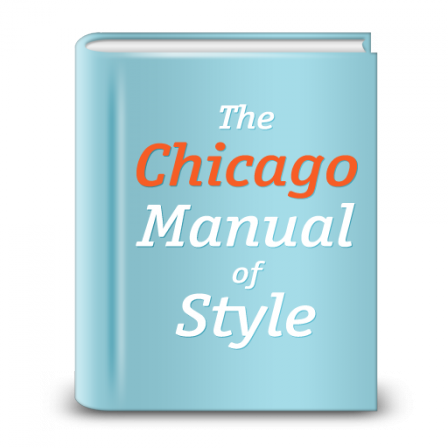 The Chicago Manual of Style (abbreviated in writing as CMS or CMOS [the version used on its website], or, by some writers as Chicago) is a style guide for American English published since 1906 by the University of Chicago Press. Its sixteen editions have prescribed writing and citation styles widely used in publishing. It is “one of the most widely used and respected style guides in the United States.”CMOS deals with aspects of editorial practice, from American English grammar and use for document preparation. While I am ironically against websites that simply try to gain exposure through search engine optimization solely, About.com has done a better job of refining its site to being more “useful” for the student. It may be worth taking a look. This is definitely not the prettiest, but it has a relatively comprehensive guide on grammar from the word and sentence level, paragraph level, and essay level. It also provides a number of quizzes, powerpoints and other resources to help the learner and guide the teacher. As one of my favorite peers in the industry, Meltzer provides a decent amalgamation of grammar rules and examples. Having scored quite well on the exam herself and having also read over 5000 books in her childhood on top of writing several books on the subject, I would say she’s a decent resource on the topic. Making grammar fun is incredibly challenging. Chomp Chomp though puts forth a strong effort to do so. 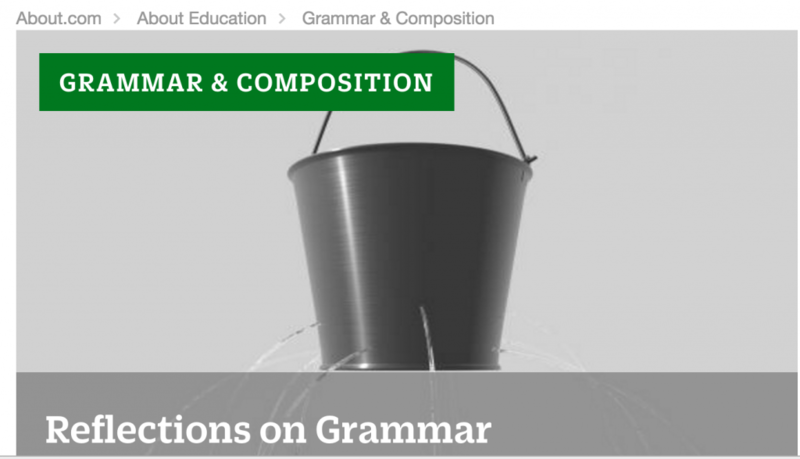 The officially sponsored website and organization by the college board provides some handy videos explaining some grammar concepts. The English test is a 75-question, 45-minute, multiple-choice test, covering six elements of effective writing: punctuation, grammar and usage, sentence structure, strategy, organization, and style. The questions covering punctuation, grammar, and sentence structure make up the Usage/Mechanics subscore. The questions covering strategy, organization, and style make up the Rhetorical Skills subscore. Punctuation (10-15%). Questions in this category test your knowledge of the conventions of internal and end-of-sentence punctuation, with emphasis on the relationship of punctuation to meaning (for example, avoiding ambiguity, indicating appositives). Grammar and Usage (15-20%). Questions in this category test your understanding of agreement between subject and verb, between pronoun and antecedent, and between modifiers and the word modified; verb formation; pronoun case; formation of comparative and superlative adjectives and adverbs; and idiomatic usage. Sentence Structure (20-25%). Questions in this category test your understanding of relationships between and among clauses, placement of modifiers, and shifts in construction. Strategy (15-20%). Questions in this category test how well you develop a given topic by choosing expressions appropriate to an essay’s audience and purpose; judging the effect of adding, revising, or deleting supporting material; and judging the relevance of statements in context. Organization (10-15%). Questions in this category test how well you organize ideas and choose effective opening, transitional, and closing sentences. Style (15-20%). Questions in this category test how well you select precise and appropriate words and images, maintain the level of style and tone in an essay, manage sentence elements for rhetorical effectiveness, and avoid ambiguous pronoun references, wordiness, and redundancy. NOTE: Spelling, vocabulary, and rote recall of rules of grammar are not tested. See sample questions or read tips. The test consists of five essays or passages, each of which is accompanied by a sequence of multiple-choice test questions. Different passage types are employed to provide a variety of rhetorical situations. If you use Word a bit, this guide helps you understand everything about their built in engine for grammar and writing style. A tool one of my students shared with me. I haven’t used it yet though. It does say it’s free. If you haven’t seen this website yet, you obviously don’t surf the internet regularly. These guys have been spending a ton of money on marketing. Nevertheless, their tool is not a bad effort at trying to solve the ills of the lazy. 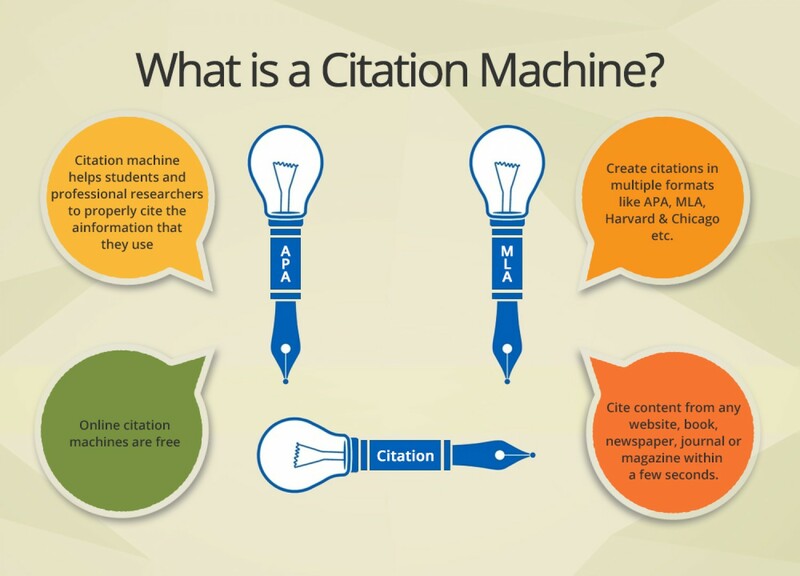 Citation Machine automatically generates citations in MLA, APA, Chicago, Turabian, and thousands more! While Lynch’s guide hasn’t been updated since 2011, it is a somewhat objective resource. Even though it’s clickbait, it still provides a good number of resources not here. Even though we are probably guilty of not following our own advice, we do know that sticking to one guide and leveraging it fully to the end vs. hopping from one guide to the other for reference is the best practice. We know we are being somewhat contradictory to this idea by providing you a long list of resources which might encourage you to use many different resources, we are doing this so that you can pick one or a few to focus on and truly apply this piece of advice.